Celebrity divorces can be a huge mess. In this case, the publicity has been intense and the drama bordering on insanity. After three months of bitter, dirty legal and public fighting, Johnny Depp and Amber Heard conclude divorce amicably. 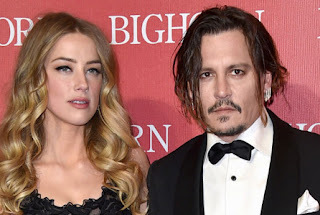 After 3 months of being at each others throats, Amber has reportedly dismissed her domestic violence restraining order petition against Johnny Depp after the former couple settled their bitter divorce battle on Monday (August 15). The troubled actress has filed legal documents withdrawing her request for protection from her estranged husband. Constant claims of abuse with often sketchy and questionable evidence. Amber, who claimed Johnny had abused her throughout their relationship, dismissed the case with prejudice, which means she can never re-file it. The divorce case is also resolved - Johnny has reportedly agreed to pay Amber approximately $7 million to walk away. Even as celebrity divorces go it was quite messy. Amber was grilled for hours before the settlement. His lawyers, Laura Wasser and Blair Berk, crafted the settlement with Heard's legal team after quizzing her about her abuse allegations during a six-hour deposition on Saturday. Joint statement clears up any ill feeling, at least publicly. Amber and Johnny have released a joint statement, which reads: "Our relationship was intensely passionate and at times volatile, but always bound by love. "There was never an intent of physical or emotional harm." The statement, obtained by TMZ, also reads: "Neither party has made false accusations for financial gains." Meanwhile, actor Billy Bob Thornton whom Depp accused Heard of cheating on him him with has denied the accusations, calling them completely false.